Two of the University of Texas (UT) Health Science Center‘s (HSC) dual-degree programs are currently highly ranked nationally based on the percentage of students supported with fellowship awards from the National Institutes of Health (NIH). Highly competitive and exclusive, the NIH grants are given to support promising scientists, which in turn also increases the recognition of the academic facility. The M.D./Ph.D. and the D.D.S./Ph.D. Programs from UTHSC have both been ranked in the top four of 112 U.S. programs, measured by the percentage of its students that received F30 or F31 NIH grants, as announced by the university in a press release. The degrees are designed to teach physician-scientists and dentist-scientists to provide patient care and improve current methods of care with research. The director of the M.D./Ph.D. Program, José E. Cavazos, M.D., Ph.D., who is also the assistant dean in the School of Medicine and Graduate School of Biomedical Sciences, recently announced the achievement of the two programs, as he believes that the success of the students is partially related to F Troop, an innovative workshop that provides students mentoring to apply for NIH grants. The workshop was developed and is directed by Linda M. McManus, Ph.D., a professor of pathology and director of the Office of Postdoctoral Affairs, who assisted 20% of the M.D./Ph.D. students and helped 7 out of 35 receive F30 grants. “This figure is higher than all but three other schools. Significantly, only 428 of the more than 5,100 M.D./Ph.D. students nationwide earned this prestigious NIH fellowship funding award in 2014,” said Cavazos. The director of the D.D.S./Ph.D. program in the School of Dentistry and Graduate School, Michael A. Henry, D.D.S., Ph.D., who is also a professor of endodontics, also announced that within the six-student program, five of them (83%) were also granted the F30 awards. Cavazos further explained that only 30 of these F30 grants are supported nationally by the National Institute of Dental and Craniofacial Research. 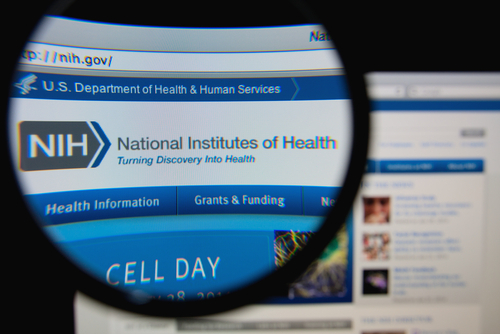 The recipients of the NIH fellowships are chosen among qualified applicants based on their potential to be future productive, independent and highly trained clinician-scientists. The investigators are expected to hold not only clinical expertise but also basic, translational or clinical research competences. The M.D./Ph.D. students are required to have attended two years at the School of Medicine and conducted three to four years of research to a Ph.D. dissertation, while the D.D.S./Ph.D. students are required after three years of doctoral work at the Graduate School to partake in four years of customized dental training. In addition, the MD/PhD Program is also supported by the Health Science Center President’s Office, the School of Medicine, the Graduate School of Biomedical Sciences and several endowments, including the Joe R. and Teresa Lozano Long Endowment, the Brackenridge Foundation Endowment, the Greehey Family Foundation Endowment and the Harry F. Adler, M.D., Ph.D., Endowment. The D.D.S./Ph.D. Program, on the other hand, is funded through a T32 Institutional Training Grant from the National Institute of Dental and Craniofacial Research and by the School of Dentistry Dean’s Office.